Apple Inc sent out invitations for a media event in San Francisco on March 9, about one month before the much-anticipated launch of the new Apple Watch. The world's largest technology company did not specify what the event will be about in the invitation which reads simply "Spring Forward," a word play on the resetting of watches for daylight saving time. The event will be streamed live online starting 10 a.m. PT (1 p.m. ET). 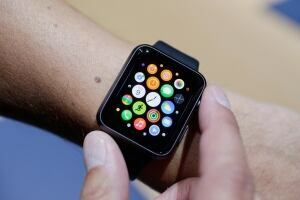 Chief Executive Tim Cook said last month that the company plans to launch the smartwatch in April. The watch, which will let consumers check their email, pay for goods at retail stores and monitor personal health information, represents Apple's first major new product introduction since the 2010 launch of the iPad.